Blog Quick Quotes: Introducing... Marcia Dehn-Nix! 2012 Quick Quotes Design Team! 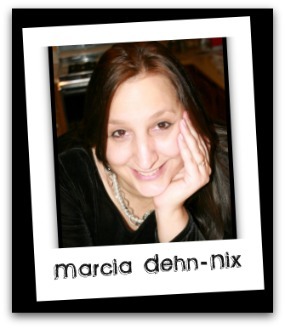 Hi, I'm Marcia Dehn-Nix and I am so excited to be a part of the Quick Quotes Design Team! I am married to the most wonderful guy (28 years!) and we live in Maple Grove, Minnesota. We have three kids; Naomi (22), Colette (19), and Trenton (17). Naomi is working on her Masters degree in Fine Arts with an emphasis on creative writing. Colette is in her second year of college with a pre-vet major. Trenton will graduate from high school this spring. So, it looks like we will be empty nesters next fall. Maybe this is why we are acquiring more pets?! Currently in residence are cats, Delta and Spook and dog Satchel. We sometimes foster for a rescue organization, so the number of cats and dogs varies. It is sometimes hard to part with these temporary pets and we do adopt them ourselves. Spook was one of our fosters, and so was a cat my daughter Naomi now has. I have been scrapbooking for over 10 years. My scrapbooking evolved out of a love for photography. In fact, I used to be a wedding photographer! I did all the portrait sittings of my own kids at home. This made for some fun times when I hauled in sand or fake snow! I also love to make cards, and knit, and sew. I do have a 9-5 job working as a senior software engineer creating software for electrical utilities. (The senior just means I am old). I celebrated 25 years with the company last summer. My creative side helps to balance the technical side of me. Please welcome Marcia to the Quick Quotes Team! I just went to your site. I like your style. Congrats! Looking forward to seeing your projects over the coming months! Hi Marcia!!! Congrats on making the team! I am looking forward to working with you this year! Welcome to the group Marcia! i enjoy reading about you :). Looking forward to working with you! Hello Marcia! I am excited to work with you here at Quick Quotes! Thanks for sharing a little about yourself with us!